Students in the News — Horticulture Is Awesome! Our horticulture program at SFA has received recognition from the local land of the pines here in east Texas to sea to shining sea. Check out how our students have been featured in various media below! Donna McCollum of KTRE featured our sustainable food prairies designed and installed by students at SFA. SFA students hosted an edible evening where they taught the public how to grow their own produce. Donna McCollum of KTRE reports. The revamping of the Sprout garden was featured in Sawdust magazine, the alumni magazine of Stephen F. Austin State University. You can read the piece and the perspective of the students at the link above. Vegetables that students are growing at SFA was featured in this piece by Donna McCollum of KTRE news. 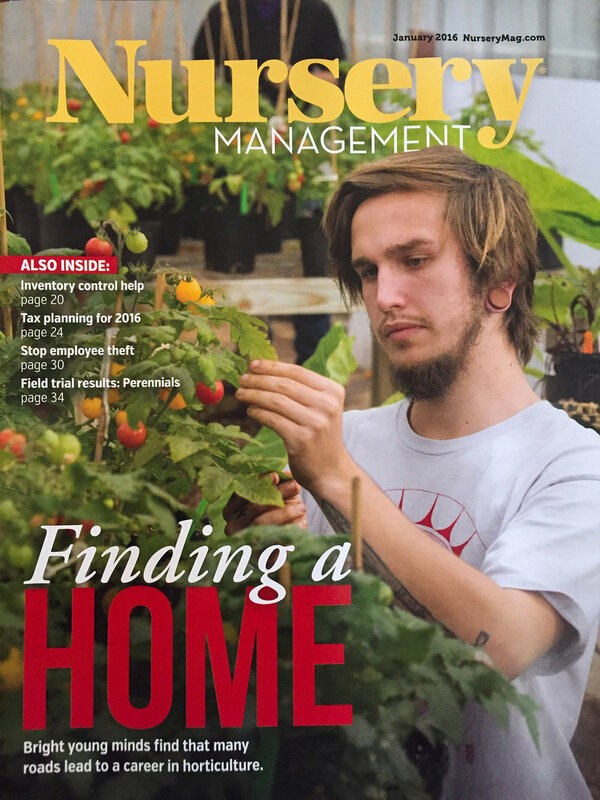 Nursery Management, a national trade publication, features SFA Horticulture students in a story about how they became involved in horticulture and what they plan on doing.